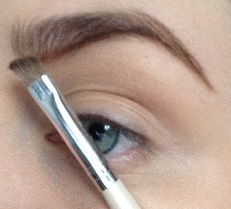 Brush through your brows with a spooly. 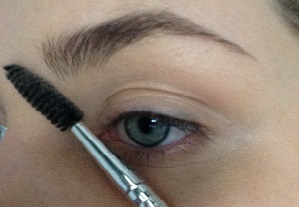 Using an angled brush, draw a line diagonally up your brow and down at the end. 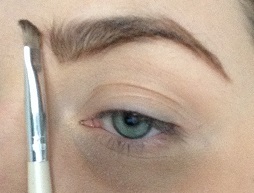 Where your arch is, fill in down towards the end of your brow again. 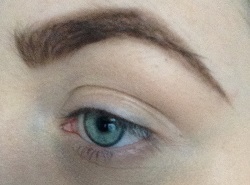 Fill in the front half of your brow and accentuate the arch if you want. 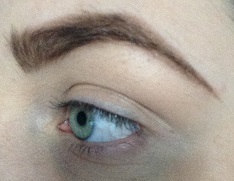 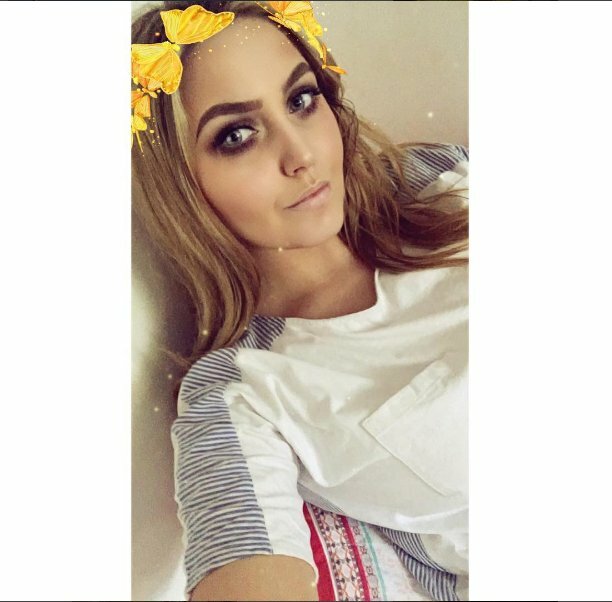 I extend the end of my brow to make them longer 🙂 Go through them again with the spooly.